The first in a series of handbooks to help develop modern fencing trainers and to give them the tools for success. 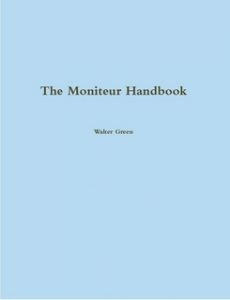 A handbook for beginning fencing coaches who hold the certification of Assistant Moniteur, or who are working to earn this certification of the United States Fencing Coaches Association, or anyone interested in learning to train fencers. The handbook includes information on the roles of coaches, safety, coaching ethics, leading drills, correcting student performance, teaching group and individual lessons, equipment maintenance, and basic fencing statistics. An excellent guide to training assistants to help in managing group lessons in your fencing club. 91 pages. Price $16.00. This is the second in a series of handbooks designed to help fencing coaches develop as professional teachers and trainers of fencers. It is a working manual to help fencing coaches prepare for the Moniteur examination of the United States Fencing Coaches Association and to increase the level and quality of service they provide their athletes. The handbook focuses on how to teach group lessons and introduces the mechanics of the individual lesson, as well as providing a variety of knowledge entry level coaches need to be effective in managing their programs. 139 pages. Price $22.00. A handbook for fencing coaches who teach historical fencing in their clubs. This text provides information valuable to individuals certified as Moniteurs d’Escrime Historique by the United States Fencing Coaches Association or who are working to earn that certification. Contents include considerations for managing a historical fencing program using weapons from the Middle Ages, Renaissance, Enlightenment, and Classical periods, background information on historical fencing along with information on techniques to support teaching beginner level students, information on the theory of teaching fencing, a detailed coverage of how to conduct group and individual lessons, and an overview of the professional examination process. 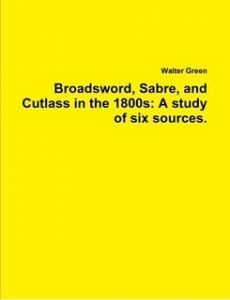 Appendices provide rules for bouting, beginner level course contents, and an extensive bibliography for further reading. 214 pages. Price $24.95. Leon Bertrand on Sabre ca. 1927. 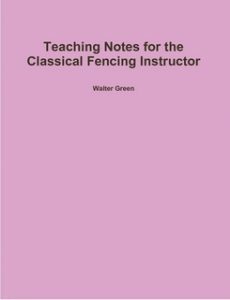 This is the first in a series of teaching handbooks covering classical fencing texts that are no longer readily available. 109 pages. Price $19.50. This teaching guide examines the rapier system of G. H., an English gentleman fencer who wrote a brief monograph in 1614 describing a simple method for fencing with both single rapier and rapier and dagger. G. H.’s work is important in that he recognizes the impact of complication on the ability to make decisions in combat and has deliberately simplified his technical range to minimize these. He emphasizes the importance of skill development and provides guidance for fencers of different physical characteristics as well as strategies that fencers with disabilities may use to defend themselves. G. H. does not fully describe all of the elements of his practice, and the guide provides logical interpretations to address these gaps. 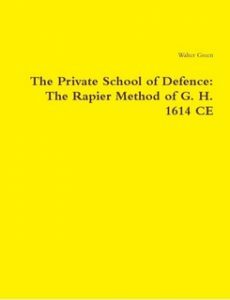 The guide is designed for use by instructors in planning classes to teach G. H.’s method, and makes accessible the 6th of the series of English language fencing manuals published between 1594 and 1617. 16 pages. Price $6.00. Commander C. Burney 1871 (Great Britain). 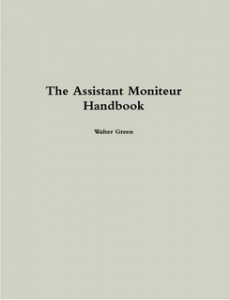 Each volume has been outlined, its contents grouped in standard format, with techniques parsed to facilitate group drills or individual instruction, and commentary added. 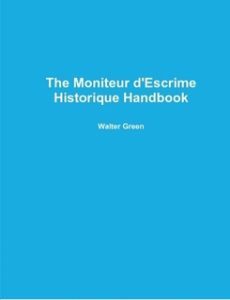 As a teaching guide it is designed to support instruction in the actual historical practice of the period 1800-1900. The inclusion of a detailed comparison table helps identify differences and similarities among the sources. 114 pages. Price $21.00.